Prior to the Napoleon wars, the Austrian Empire stretched from Italy to the Netherlands and from Poland to the Balkans. Its position in the center of Europe, however, made it the perfect target for revolutionary France and in April 1792, France declared war on Austria. The first war lasted for 5 years. Austria renewed the war against France in 1799 and again in 1805, but in both cases was swiftly defeated. In April 1809, judging that Napoleon’s army was bogged down with the fighting in Spain, Austria invaded Bavaria, but Napoleon recovered quickly and Austria’s defeat at Wagram led to another humiliating peace treaty. In 1812 Austria was forced to provide troops for Napoleon’sthe disastrous Russian campaign, but in 1813 Austria again joined the coalition against him. Even though the Austrian army was the third largest in the world, the Austrians lost many more battles than they won. 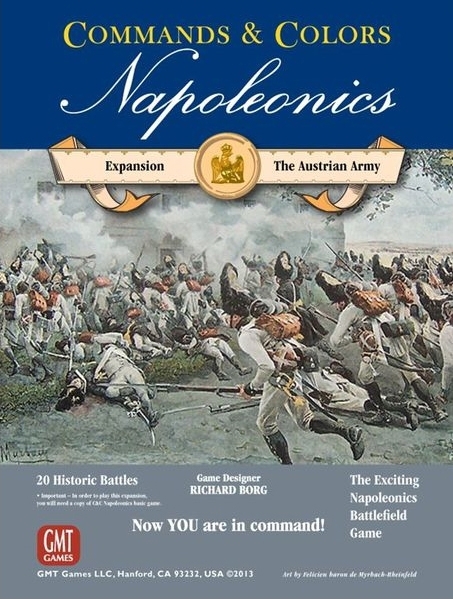 At the time of the Napoleonic Wars, the Austrian army was a large multi-national army, made up of Austrians, Swedes, Hungarians, Englishmen, Scots, Irishmen, Walloons, Poles, Russians, Ukrainians, Germans, Croats, Serbs, and even French royalists. The infantry regiments were large and somewhat reliable, but the tactical formations and drill were still entrenched in the past. The cavalry, although well mounted, still applied the practice of scattering their formations in small bodies, which greatly reduced their combat effectiveness. In general, the Austrian army did enjoy many successes on a regimental level, but at the brigade and divisional levels its commanders were not tactically proficient. 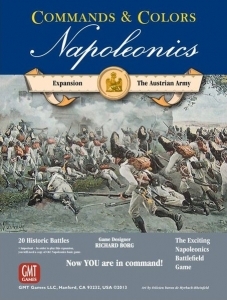 In this expansion you will find 18 historical scenarios that focus on the Austrian Army battles from 1805 to 1814 against Napoleon, plus all the new units you’ll need to field for these engagements.